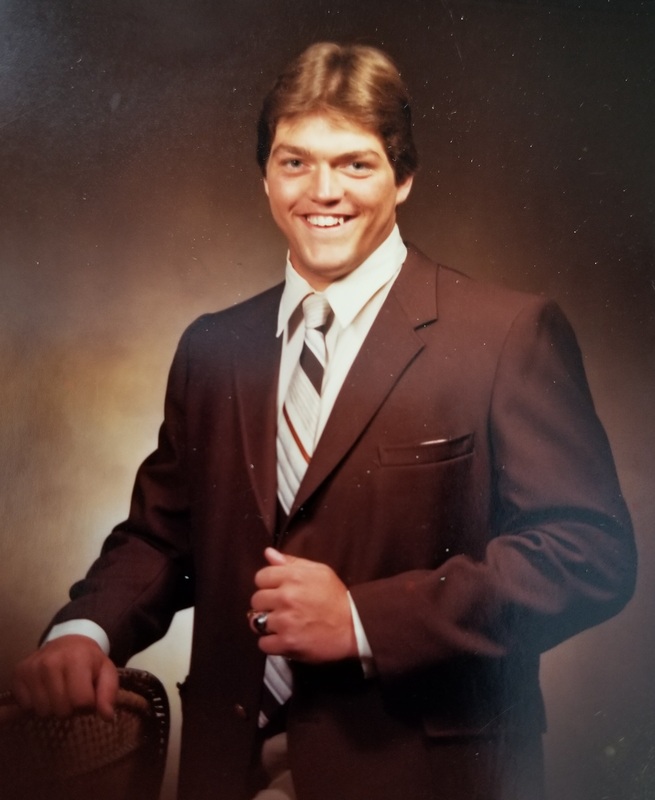 Age 54, of East Lansing, Michigan, passed away February 1, 2019. He was born January 7, 1965, in St. Johns, Michigan. Doug graduated from Holt High School, attended the Air Force Academy, graduated from Michigan State University, and received his Juris Doctorate from Cooley Law School. He worked for Ingham County as an Equalization Director, retiring in 2018. Doug was president of his condominium association board and enjoyed going to the casino and reading. He was a linebacker with Holt High School football team, as well as with the Air Force Academy. Doug was preceded in death by his mother, Ruth Stover. Surviving are: his father, Frank Stover; siblings, Kimberly Harris, Randy Stover and Jenny Stover; and nieces, Sarah Harris and Mariella Stover. A memorial service will be held at 1:00 p.m. Thursday, February 7, 2019, at the Estes-Leadley Greater Lansing Chapel. His family will receive friends at the funeral home from 11:00 a.m. until 8:00 p.m. Wednesday. In lieu of flowers, memorial contributions may be made to a charity of one’s choice, or to his sister, Kim Harris, to go towards funeral expenses. So sorry for your loss. May God be with you all in your time of need. Prayers for all of you. Doug was simply one of the kindest, most thoughtful people I’ve known. He smiled through everything and he was welcoming to everyone. We were fellow alumni from Lansing Community College, we attended many classes together. I have been a fellow co-worker/friend of his for nearly 28 years. I feel a big hole in my heart. He will be dearly missed. It was an honor and pleasure to have known and worked with Doug for over 13 years. He helped me through countless life lessons and made me appreciate my blessings. I’ve never met a smarter or more honorable man and will miss him greatly. I hope he’s in a better place now because he certainly deserves it. Doug was one of my first buddies in kindergarten , we also played football together throughout all our school years at Holt. You will be missed my friend and may God watch over Doug’s family in the upcoming time ahead! Our hearts are very sad at the passing of Doug. He was a very nice person and will be greatly missed. Our prayers are with Frank, Kim, Randy, and Jenny. I knew Doug from our neighborhood growing up on Sycamore. We spent countless hours playing in our backyards, ball games, pool time, kick the can, you name it. We also walked/rode to school together from First Grade through High School and he was like a brother to me-someone I could talk to about anything. People change, we move in separate directions, but I always thought of Doug when I would drive or walk in the old neighborhood. Prayers for you Frank, Kim and Sarah, Jenny and Randy during this difficult time. May God hold you close and support and guide you. Doug was the best boss ever. I’ll always be thankful that Doug hired me. He supported me as I learned what I was doing! I’ll especially miss his sharp sense of humor. He had me laughing with tears many times these last few years. Rest In Peace. Doug was our nephew & we are so sad to hear of his sudden passing. Praying for Frank, Kim, Jennifer & Randy. May God help all of you through this trying time. We will miss him. Doug was a wonderful man. He was always supportive, kind, funny. He will be missed. I had the privilege of knowing Doug for years. He will be missed. I met Doug 29 years ago when he was the Personal Property examiner for the County. He had a great sense of humor and knew his business. It was my pleasure to see him become the Ingham County Equalization Director. He always had time to talk to his Assessors and Staff. I know he will be missed. I am shocked and saddened to hear of Doug’s passing. I was lucky to meet Doug when he was teaching Assessor classes for the State of Michigan. I hadn’t talked to Doug in a long time but was able to talk with him just after he retired from Ingham County and feel fortunate to have had that opportunity. Prayers to Doug’s family. I know Heaven greeted him with open arms. I will always remember Doug as a man who cared for others. His incredible sense of humor made everyone feel like family. Doug gave so much of himself to the assessing profession and we should all be extremely grateful. My prayers go out to his family and friends. I will miss Doug! I knew Doug for about 30 years. We got to know each other doing personal property audits together when I was the Assessor in Mason and he was a young personal property auditor for Ingham County. He had the best sense of humor. He was honorable and honest. His ego didn’t get in the way of supporting others. I am glad to have spent some time with him in the last few years again. You are gone too soon, friend. I feel blessed to have known Doug. He was one of the funniest, kind hearted, and supportive person I have ever known. I am very sad and will miss him. Doug was great to work with and we always had a good visit along with the transactions. When I told him he was too young to retire, he said he would be involved in serving and using his expertise after he took some time off. He will be missed. Condolences on the death of your son and brother Doug. We are in laws of Tom Stover. May God, your family and friends help your family through this time of sorrow. I have so many fond memories of Doug. I loved his laugh and smile. He always had time to take my phone calls and answer my questions and make me laugh and with Doug there never was a silly question. On days of great frustration he would be the calm voice of reason. Thanks Doug! Doug was a friend and neighbor of our children for several years who spent many hours at our home in Holt at he went through school and high school with our son Mike. Our thought and prayers are with you Frank and your family with your loss of Douglas. I am sorry that we be unable to attend the memorial service on Thursday for Douglas. So sorry to hear this sad news. I grew up two doors down from Doug, and have very fond memories of newspaper routes, bowling teams, baseball, and just general kid stuff that made Sycamore St. a great place to be. Wishing all the Stovers peace during this incredibly difficult time. Horrible news. Doug I will miss your laugh most of all, I think. I can still hear it. What a smart, funny, stubborn and handsome man you were! You packed quite a bit into your 54 years. Wish I had more time to hear your stories and take your counsel my friend. Miss you already. I met Doug Stover once when he and I attended the same class. On that day, I was lucky enough to sit across from him at the same table. Doug came up with some funny comments throughout the day which made the class more enjoyable. My sincerest condolences offered to his family and closest friends. Doug is my oldest 1st cousin whom my last memory of seeing him in person was in our Grandma and Grandpa Stovers backyard riding his Rupp minibike. R.I.P. Jesus Loves You!! Take care Uncle Frank and family. On of the best guys from the class of 1983, everyone loved Doug. I was very fortunate to know him from grade school, and working at his paper station delivering papers. He was a very good athlete in school and really go to know him with sports, later shared a apartment in Lansing and really became good friends. We will miss you big fella, I just wish we could have gotten together. I’ll pray for your family, and we will be thinking of you. It is clear by the wide background of people signing this guestbook that Doug was appreciated and loved by a great many people. For my part, Doug was my friend and to have Doug as a friend was to have someone that was always solidly in your corner. There was no grey area. Douglas my friend, I love you and I will miss you! Doug’s heart was as big as his personality. He was a wonderful friend, mentor and colleague. He will be missed! Our prayers and condolences to his family. I met Doug several years ago in our condo building, where he served as President of the Association. A strong leader, he loved and cared for our building, and could nip a problem in the bud like nobody else. At first he and I butted heads. But over time we became friendly and I enjoyed talking with him about our building and local issues. At our last co-owners meeting we teased him about the rumor that he was a CIA agent in his youth. He got a big kick out of that! (maybe there’s truth to that rumor?) Agent 00 Doug, you’ll be missed. My heart is with all of you right now. I am praying blessings, comfort and love to be with you, Frank, Kim, Randy, Jenny, Sarah, and Mariella. Love you! Oh my friend, you will be soooo missed. Can’t quite wrap my head around you being gone!! I think about when last we talked & laughed as usual over our horse back riding escapades!! Prayers for your family during this difficult time!! Our deepest sympathies from the the Cooley Law School family for our alumnus Douglas. We are proud of your achievements and to call you ours. Memory eternal and condolences to the family. I worked with and got to know Doug as his Condo Services Rep during his time on the ELCC Board. He was one of the nicest men I ever met and am so sad to hear of his passing so young. He will be missed by everyone who ever had the pleasure of knowing him and I am sorry I missed the service. My sympathies to his family. May he rest in peace..
Doug was my hero. From growing up three houses down from him on Sycamore Street, to he nearly killing me running the football in a hamburger drill. He looked after a little guy in a big man’s game. Kind, smart and fierce, a great man. My last memory of him was playing pool at The Landshark a thousand years ago, talking about our journey in the world. I am so sorry he is gone, his kind does not come around often. My best to the family.